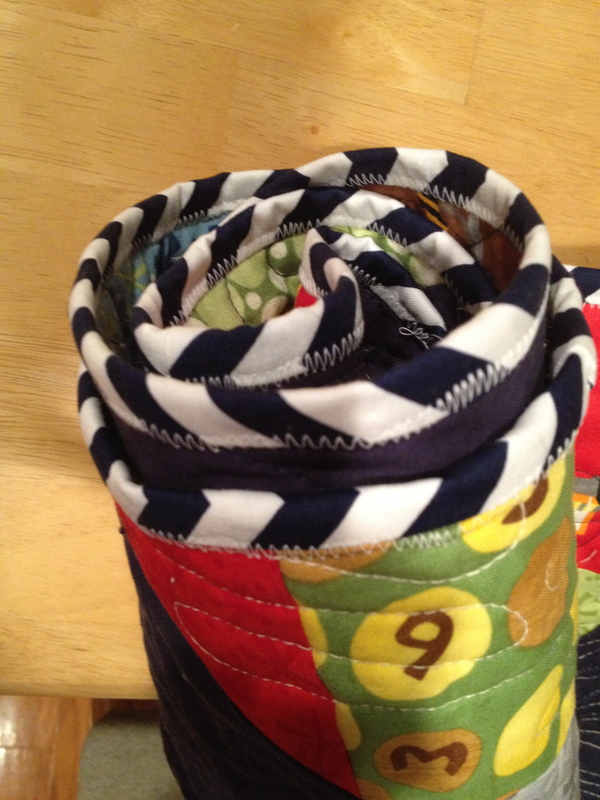 I first picked out the tutorial and the fabric for Miles’s quilt last January, almost a year ago. It’s a little embarrassing that it took me this long to finish, but I finally did it. 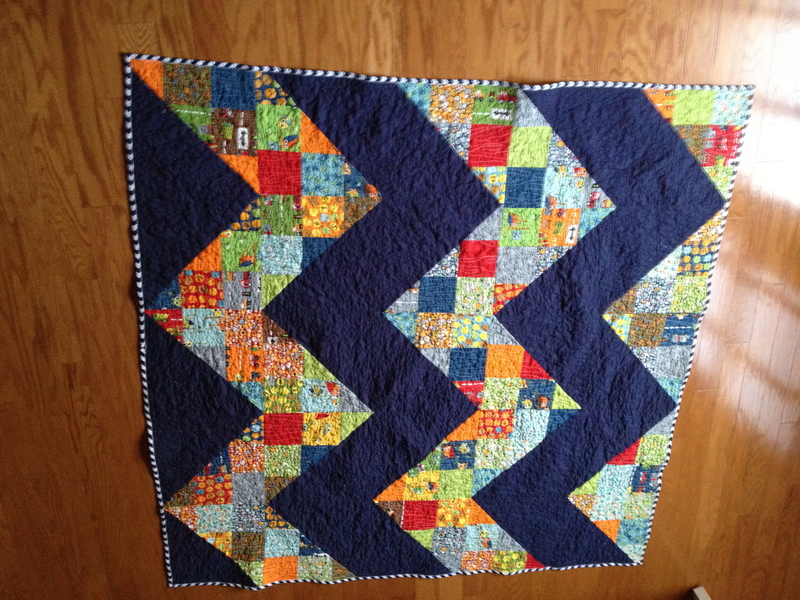 I learned so much making this quilt, and in some ways I’m glad I procrastinated long enough to have the skills to make this one my most technical quilt to date. 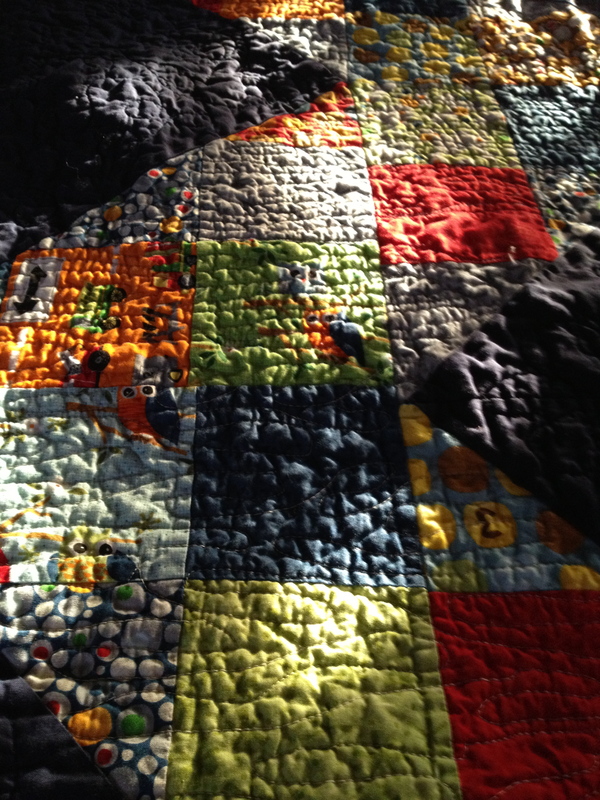 I quilted the patchwork in a pattern I like to call a meandering corduroy. It crinkled so nicely. 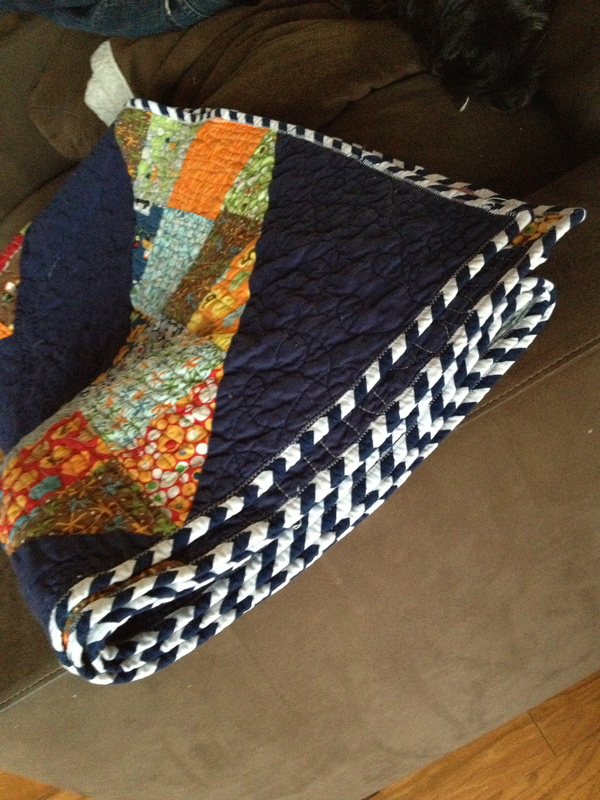 The navy chevrons were quilted in my standard loopy way in navy thread, to maintain the solid look. 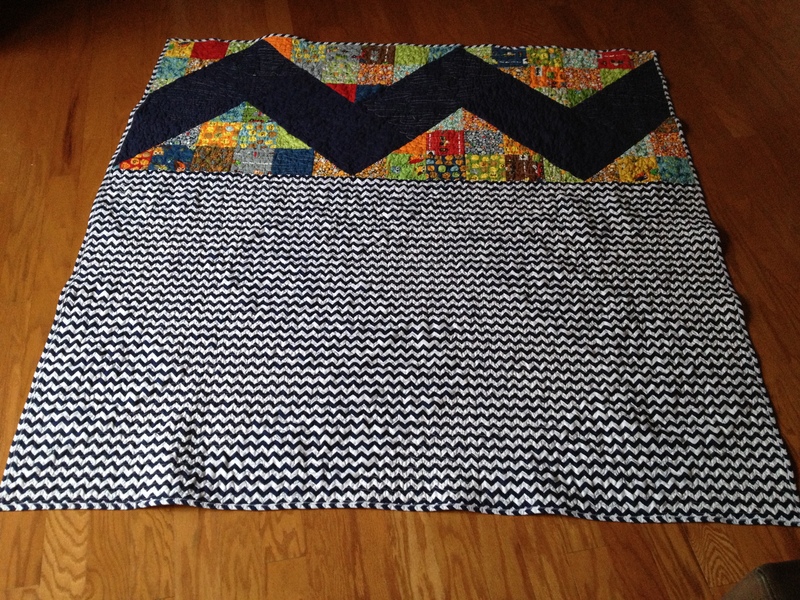 I decided to bind it in the navy chevron print, and to continue the zigzag theme, I tried machine binding with a zigzag stitch. I love the way it came out and hope to use it in the future. It’s so secure, not to mention super fast. Thanks for tuning in! I promise it won’t be months before another update.